First, having good vision to detect objects that could cause a fall (i.e. objects on the floor or a slick liquid that may have been left on the walking surface). Secondly, vision in both eyes is required for depth perception. This is important when approaching steps, uneven surfaces or transition from hardwood to carpeted flooring etc. How would you know if you need to come in between regularly scheduled exams? Remember RSVP: The usual symptoms that we alert patients to seek immediate care for include: increased Redness, light Sensitivity, Visual changes, or Pain the eye(s). HOW OFTEN SHOULD OLDER ADULTS (AGES 55+) GET AN EYE EXAMINATION? The Academy of Ophthalmology recommends routine eye examinations for everybody over the age of 40, at least every three years. This applies to patients with completely normal eye health and no family history of eye disease. By the time a person reaches 55 years of age, it is recommended at least every 2 years for a routine eye exam and more often if there is an active condition being followed. 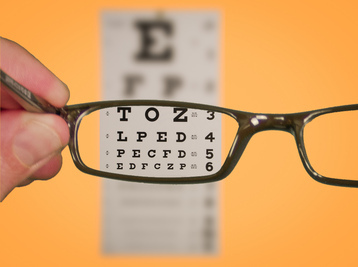 WHY ARE REGULARLY SCHEDULED EYE EXAMS IMPORTANT? There are many conditions that are silent and not observed until significantly advanced. Like so many conditions, early detection and treatment is important. Three of those conditions are: Macular Degeneration, Cataracts, and Glaucoma. Macular Degeneration is a slow disease that destroys the central vision by causing thinning of the retina which is like the film of a camera. Macular degeneration comes in two varieties: Wet and Dry. With Dry Macular Degeneration, “aging spots” develop in the retina. Wet Macular Degeneration results from bleeding under the retina. Cataracts are a very common cause of decreased vision with aging. The cataract is a clouding of the natural lens of the human eye. The clouding leads to a fogginess in vision that can be gradual and difficult to notice until advanced. The clouding or “fogginess” decreases your ability to see objects especially in glare situations. How does this impact fall risk? to have good depth perception. Having good clear vision helps identify trip or slip risks as well as the ability to discern depth. Glaucoma is a degenerative disease of the optic nerve which transports the information from the retina to the brain. This is typically associated with a higher pressure in the eye. 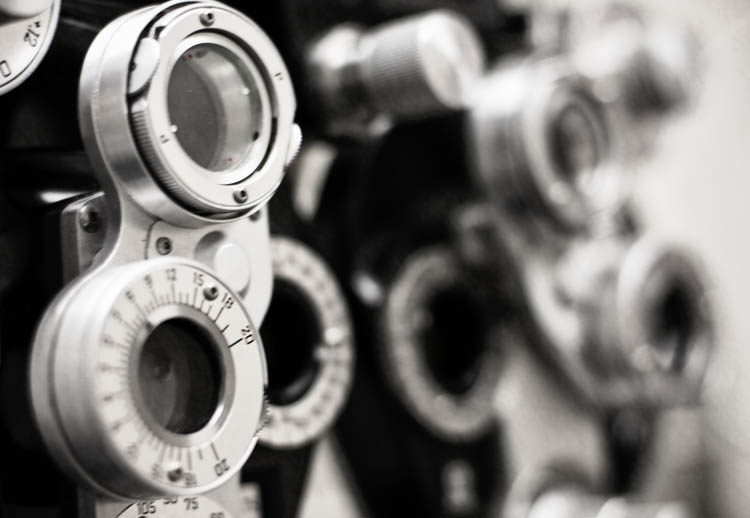 This can be a silent condition that goes undetected until significant amount of vision is permanently lost. where the patient may not notice trip or slip risk objects. The Senior Falls Prevention Coalition of Clay and Platte Counties would like to thank Dr. Moyes for submitting information about vision and fall risk.